Nothing inspires bloggery like a new desk. See here, for instance. I have A New Desk. This one’s in A New City. I live in London now. I’ve sort-of-lived here for about a month. The morning after my Master’s graduation in Edinburgh, I had a Skype interview from my parents’ living room with the School of Advanced Study in London, for a job in Digital Resources. My ability to hold a conversation over Skype that didn’t just consist of ‘is the webcam on? Does my chin really look like that?’ must have convinced them that Digital Resources were something I had a solid grasp of. I got the job. Start as soon as possible, they said. 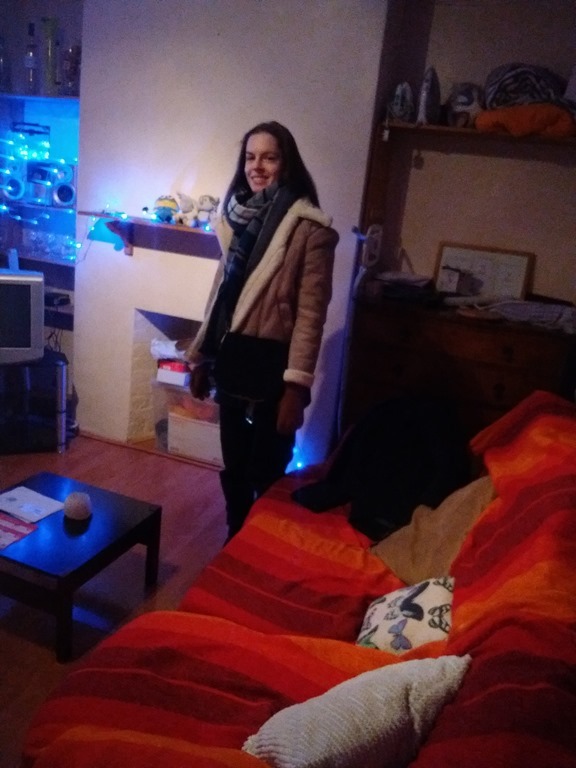 My girlfriend, Róisín, lives in Deptford, so I stayed with her for a couple of weeks before the Christmas holidays (work in Education, guys!). Then, not wanting to impose on her flatmates too much, I stayed with my grandma in Kent for the first couple of weeks in January, commuting in on busy, oft-delayed Southeastern trains. Most days, after I got back from work or househunting, we’d play a hand or two of cribbage. Final aggregate score: Betty 13, Aran 4. Househunting in London’s a lark, though. I tried the softly softly approach of asking around amongst friends and hoping the perfect lodgings would fall into my lap. A couple of promising leads petered out, and I had to accept that some legwork would be involved. I signed up to Spareroom on Wednesday, and shook hands on a house in North Greenwich on Sunday. People keep telling me this was extremely quick, and I suppose in hindsight it was. For those few days I lived in a blur of flat viewings and refreshing Spareroom every few seconds. 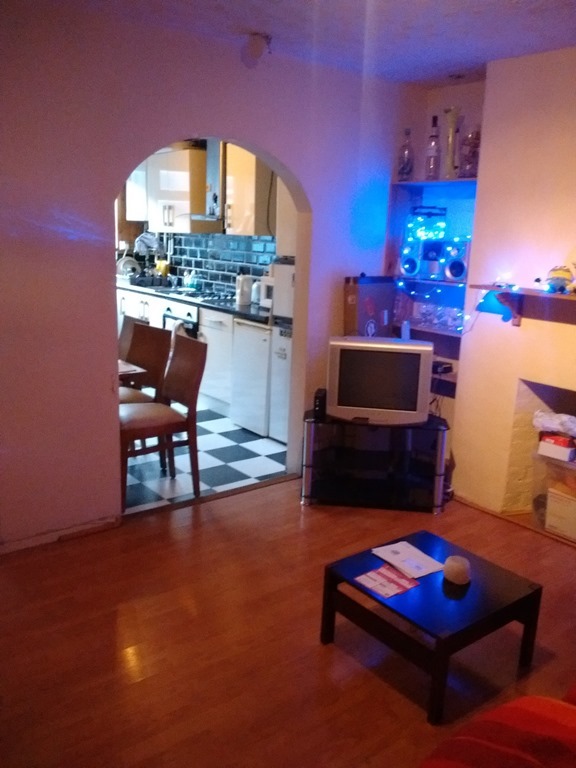 On the first day a perfect flat seemed to have fallen into my lap, only for my contact to message me on my way to the viewing, saying that their landlady had changed her mind about getting a new person in, and was instead turfing the lot of them out onto the street. The first place I actually saw was pretty disastrous – a decent room, but in a chilly, dingy, personality-free cave of a flat, with no living room and only a corridor-shaped kitchenette which seemed to belong at the back of an unsavoury backpackers’ hostel. 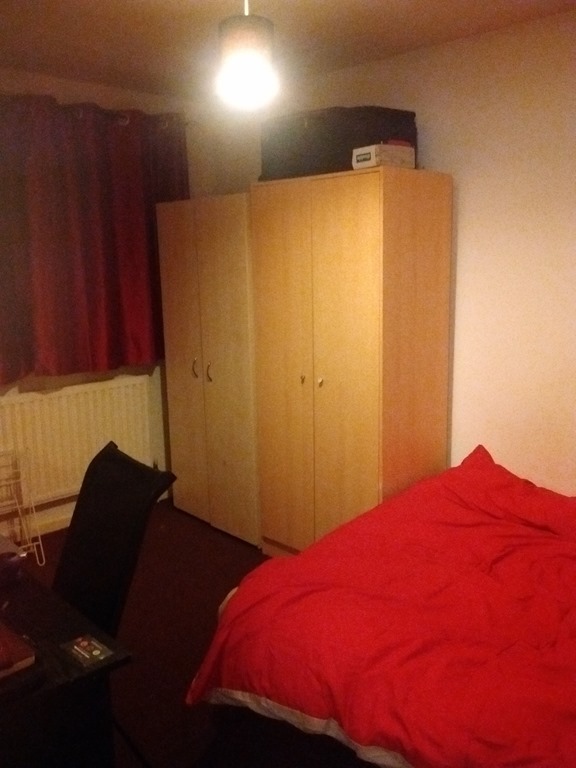 The whole place felt a bit hostelish: the kind of place you’d move into if you’d just moved to a country, were watching your money disappear night by night, and needed to accept the first room you saw that didn’t actually have bloodstains on the ceiling. The room’s current occupant was watching a movie with his girlfriend in bed. They paused the movie while I poked my nose around, but watched me in silence: he standing awkwardly in the corner, she not even bothering to get out of bed. But it was within walking distance of Róisín’s place. Walking back from the brief, excruciating viewing, I decided this was a deal-breaker. Edinburgh has spoiled my sense of distance; has taught me that a city should be walkable. London will rapidly disabuse me of these ideas (work is two tubes or one very long bus ride away), but I want to make at least some of my frequent journeys by Shanks’ pony. (For reasons I can’t quite quantify, up to a forty-five minute walk strikes me as reasonable. Fifty is a bit much). Long story short. Seven viewings, on a broadly positive trajectory as I learned to be pickier about which places to view, and accepted that the top end of my budget was more realistic than just sorting all results by ‘cheapest first’. The fifth house I viewed was acceptable. 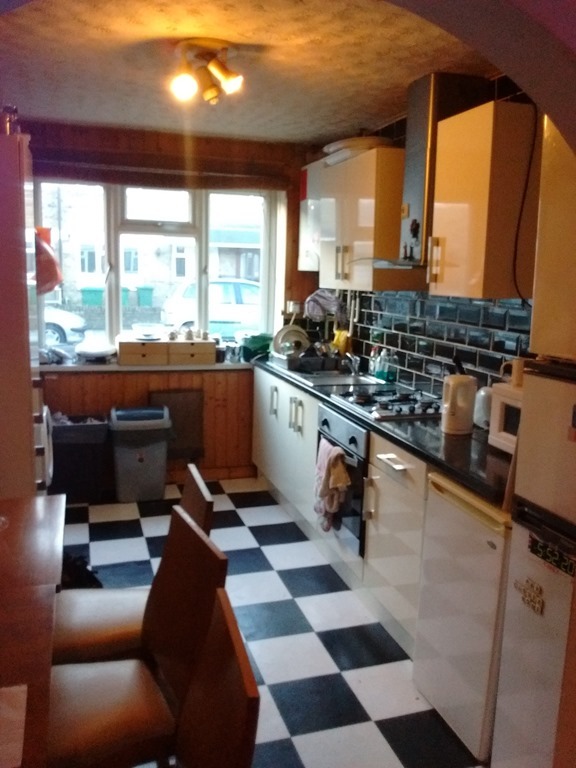 The sixth was amazing, but the housemate who showed me round seemed like a bit of a control freak (“You can have friends to stay at the weekend, we used to say for three days but some people were taking the piss, did I mention the cleaning rota?”). The seventh ticked all the boxes, and I shook the landlord’s hand on it there and then. Hame sweet hame! I now live on Armitage Rd, North Greenwich. There are a lot of cats on Armitage Rd. So that’s a chapter properly begun. Which makes this an excellent time to take the plunge and start to think I live in London now. I’m not waiting to find a job, or for my job to start, or to find a place, or to have the keys physically in my hand. 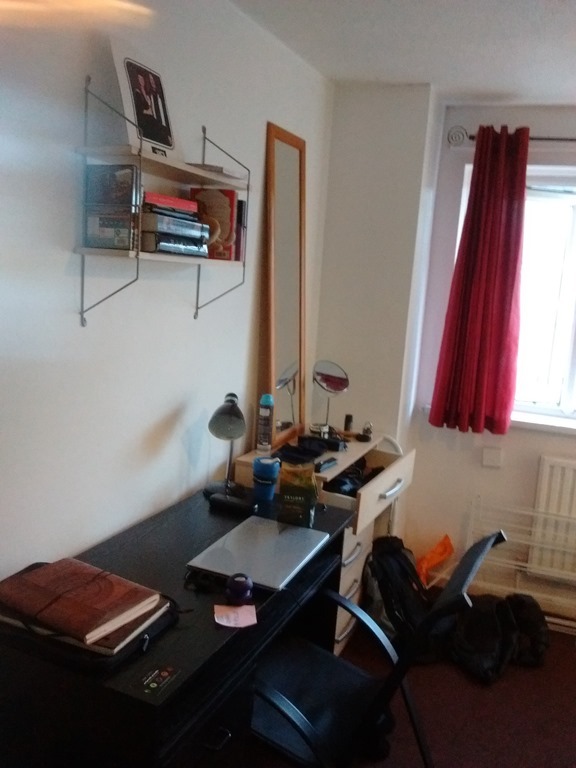 I live in London now, at least until the end of July, and I’d like to live a little bit less in applications and hopes, and a little bit more in the muddy reality of the day-to-day. I’m going to make this blog weekly again: Aran’s London Blug will hit your screens on Sundays. Expect the usual incoherent mix of topics, but more regularly. A final tangent for anyone who hasn’t already seen me mention it: today my story ‘The Satanists’ appeared in the online literary magazine Severine. I’d love it if you read it – it’s a beautiful issue, with gorgeous cover art and illustrations throughout – and if you do read it and have any thoughts you’d like to share, please do share them, here or via the ol’ socialmedias. ‘The Satanists’ is about The First Abrahamic Bible; and fakery and the things we fake; and carrying Satan with you everywhere you go (even if he’s a fake, too).